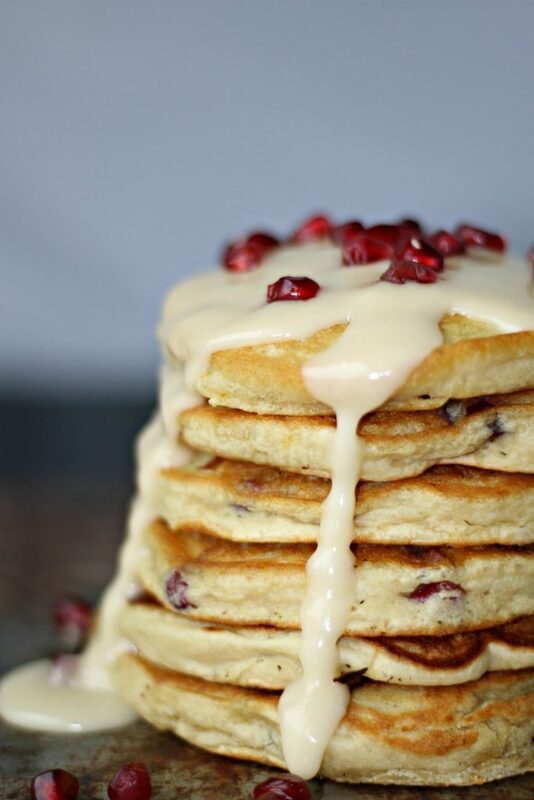 I have made a LOT of pancake recipes in my day, like Italian pancakes, fluffy blender pancakes, berry smoothie pancakes, gluten-free pumpkin spice pancakes, banana corn pancakes, even chocolate chip pancakes but these Pomegranate Orange Pancakes with Orange-Maple Glaze are by far my favorite. Made with fresh orange juice, seasonal pomegranate and spiked with orange zest, they actually taste refreshing. Who would have thought, A REFRESHING pancake recipe during the winter! 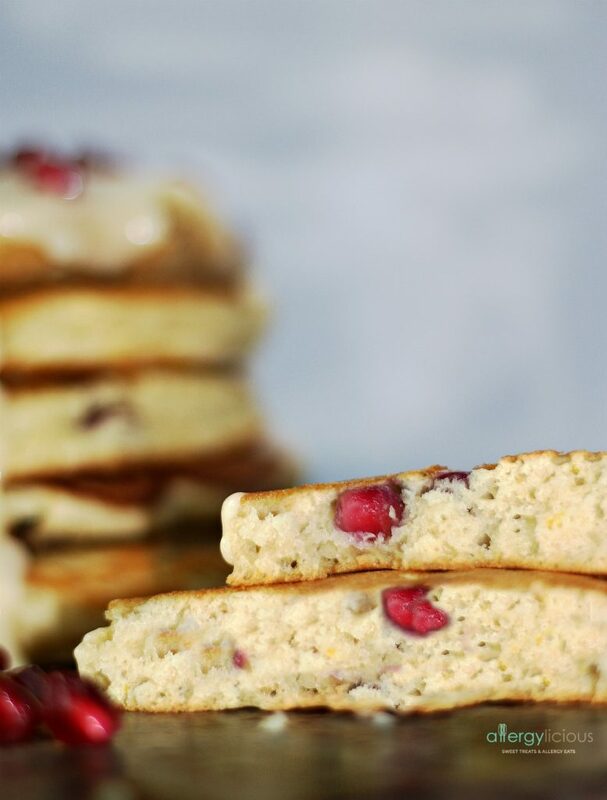 Not only are Pomegranate Orange Pancakes with Orange-Maple Glaze packed with bright, fresh flavors, they’re incredibly light and fluffy too. The batter starts to plump while it’s resting and as soon as the batter hits the hot griddle, they puffed like magic, thanks to our aquafaba egg. Have you tried this aquafaba egg yet? I happened to use chickpea brine in my Vanilla Cupcake recipe and talk about being pleasantly surprised. This “egg” replacer yielded the most remarkably light and fluffy results, so I just knew that this would be a perfect fit for pancakes. I mean, who doesn’t want fluffy pancakes? (click on the cupcake link for more info on aquafaba). I could have used berries or bananas in this recipe but I decided on using ruby red, nutrient packed pomegranates. Pomegranates pack a punch when it comes to antioxidant power. Pomegranates also amp up the flavor because their fleshy seeds are refreshingly, tart and sweet. WIN-WIN! Even though pomegranates are more of a fall/winter fruit (Oct-Feb), their crisp & sweet flavor actually reminded me of warmer days which is very much welcome now that we have a little snow on the ground. Then add on the orange infused, maple glaze and OMG, talk about a party in your mouth, a tropical, zesty party! 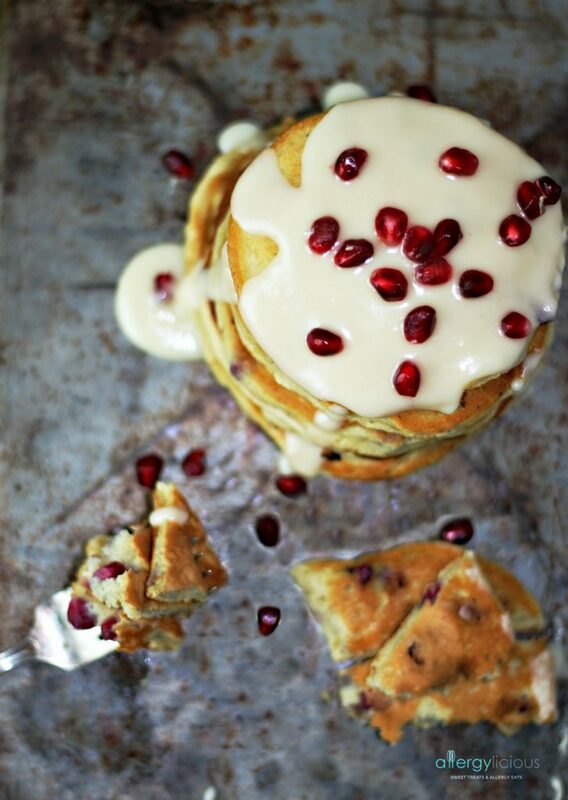 Pomegranate orange pancakes are full of flavor and packed with “WOW”, especially when drizzled with our homemade Orange Maple Glaze. Free from dairy, egg, & nuts with a delicious gluten-free option. Preheat oven to 200° and make sure rack is placed in the center (or set oven on warm). In your standing mixer, add 3 tablespoons of chickpea brine (aquafaba) and set on high. Allow mixer to “whip” liquid 5-7 minutes, or until peaks form. While brine is mixing, in a medium bowl, whisk together flour, baking powder, baking soda and salt. Gently add creamer, orange juice, zest, and extract into the whipped aquafaba. Whip a few times to incorporate then add in flour mixture and whisk until combined. Fold in pomegranate seeds. Let batter rest while griddle heats up (5 minutes). With griddle on medium low, melt butter, drizzle with oil or lightly spray. Spoon 2 tablespoons of batter onto the hot pan and cook until bubbles start for form on top and then flip over and cook until golden brown (2 minutes per side). Place pancakes in oven proof container then repeat until all the batter has been used. whisk together confectioners sugar, orange juice and maple syrup. Serve with warm pancakes as drizzle or dip. 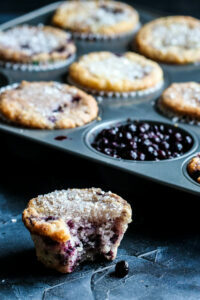 *Depending on the time of year, blueberries or raspberries are a great option to use in place of pomegranate seeds. I have also made these pancakes using Bob’s Red Mill 1-to-1 GF flour and they also turned out nicely with the aquafaba egg. 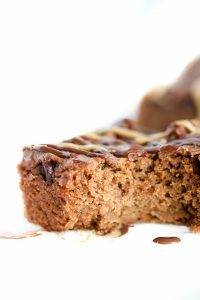 If using a different GF flour, be sure to see if xanthan gum is needed. ***This glaze also makes for a wonderful cupcake topping or even can be used as a dip for freshly sliced fruit. Are you tired of hot oatmeal and toast? Are you looking for a way to brighten your morning? Maybe you need a new breakfast idea for Christmas morning. 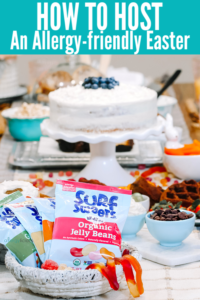 Maybe you want to hold onto this recipe and use it for a special family brunch. Either way, print it, share it, pin it, tag it, then make it! You won’t regret it! Loving these! The flavors sound fantastic for fluffy pancakes! Oh my, the first picture alone made me drool!! Love that you used an aquafaba egg with this. I haven’t tried that in a pancake before, but will now! It’s been my favorite ingredient to play with and so far has made all my pancakes so light. Let me know how it turns out. Oh my gosh, this looks like the perfect breakfast for Christmas morning! Absolutely! You can change out the egg replacer. It’s basically 1 egg or what substitute you like to use in its place. I use to always use Ener-G, but have also been playing around with NEAT Egg & Bob’s Red Mill Egg Replacer. Let me know which one you try and how it turns out. Everyone always does cranberry orange but I love the idea of pomegranate orange even better! Ya, there is a lot of the cranberry orange so it’s nice to change it up a bit. I’m thinking in the Summer, I’ll try it with blueberries. Wow! These look great for breakfast while opening gifts on Christmas morning! These look amazing, and it’s such a great flavor combo! I’m saving this for a snow day or lazy weekend morning. This flavor combo looks amazing! I am all about anything pomegranate! These look delicious! That glaze on top definitely does it for me! Yum, great combination of flavors. That glaze looks amazing! I can’t imagine a more festive Christmas breakfast. They look incredibly fluffy, too! They really were. I have to credit aquafaba for that one. I use aquafaba in the pancakes I make at home too! Love the way it fluffs them up. Looks like a delicious way to start your day! Now I just need to get you to make them for me. LOL! I wouldn’t totally make you a batch if you lived closer :)! I just started using aquafaba in my pancakes as I’ve gotten more familiar with using it. But I agree, it makes for the fluffiest baked goods! Oh I’m totally loving the flavors of this pancake!!! Pomegranate and orange paired together are delicious! Agreed, I was loving this combination and just couldn’t help but share. Hope you get to try them. They look so delicious! I love orange in baked goods or breakfast, it is so vibrant! What a great recipe and they are so festive for Christmas, too! I often forget about using orange in my recipes but you are right, it’s just so vibrant and adds a refreshing dimension to dishes. Orange in pancakes is amazing! 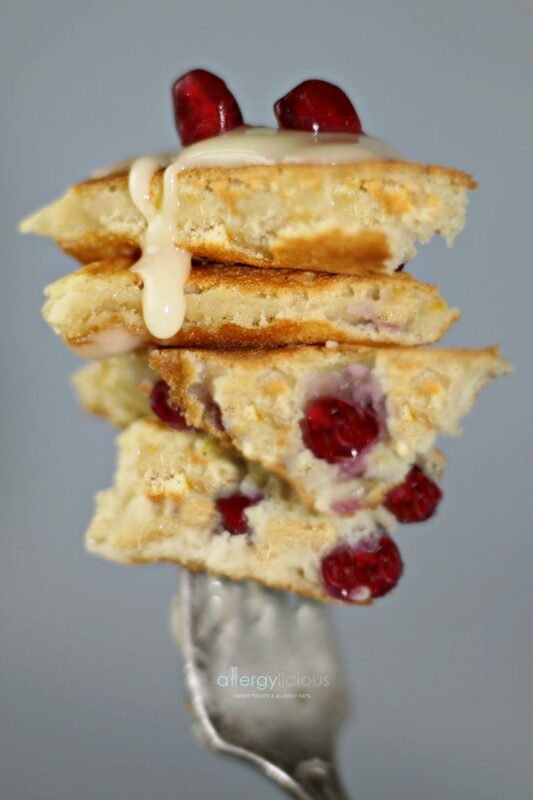 I have a cranberry orange pancake on the blog and my kids want me to make them for Christmas morning. I might just add some pomegranate seeds for good measure. And that glaze is making me drool!! Will it not work in the sign up box? Please email me using the contact form and I will get you added right away. Awesome! Always wonderful meeting new people. Thanks for reading and keep me posted when you make some of the recipes. I’d love to hear what you think. Thank you! I worked with a developer to get the look I wanted. You should be able to grab their info in the footer. So glad you like it. Wow—these look delicious! Maybe I’ll get to squeeze them in for breakfast this week before my 5 year old heads back to school! I love the addition of orange!!! So glad you found us here! There are a ton of allergy-free recipes for you to enjoy.